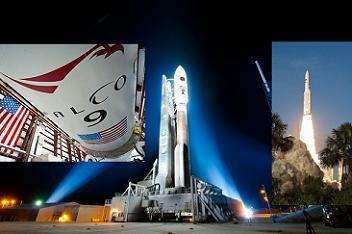 The United Launch Alliance (ULA) teams on both sides of the United States have successfully completed five major processing milestones within a period of eight days. Marking the unprecedented operational tempo, the company reminded their customers about its leading role in what is becoming an increasingly competitive market. The United Launch Alliance operate the Delta IV and the Atlas V rockets – the latter sporting what the company proclaims to be a 100 percent track record since its 2002 debut – from their launch pads at Cape Canaveral Air Force Station (CCAFS) and Vandenberg Air Force Base (VAFB). The company is currently within a salvo of missions involving three launch pads and three different vehicles, as highlighted by their successfully completed milestones over the past eight day period. The flow included July 17’s Wet Dress Rehearsal (WDR) at Space Launch Complex 37 (SLC-37) at CCAFS for the upcoming Delta IV launch of the WGS-6 spacecraft – currently set to lift-off on August 7. While the WDR was taking place, their Atlas V rocket rolled out to the nearby Space Launch Complex 41 (SLC-41), ahead of its successful launch with the MUOS-2 spacecraft on July 19. Just days after the MUOS-2 launch, two spacecraft were mated to their respective boosters for their upcoming missions. These operations saw the WGS-6 spacecraft mated to its Delta IV launch vehicle at SLC-37 at Cape Canaveral on July 23, while the NROL-65 spacecraft was mated to the Delta IV Heavy at Space Launch Complex 6 (SLC-6) at Vandenberg the following day. The successful milestones provided Jim Sponnick, ULA vice president of the Atlas and Delta Programs, the opportunity to highlight the company’s ability “to deliver on its commitments to its customers” along with the importance of achieving mission success, while pursuing new ways and implement inventive programs such as launch span time reduction. “These simultaneous operations demonstrate the tremendous capabilities of the combined contractor and U.S. government teams,” Mr. Sponnick noted. “With this team’s innovative and ever-present focus on delivering mission success and reliable and repeatable processes through ‘Perfect Product Delivery’, the United Launch Alliance team has achieved an unparalleled launch rate. 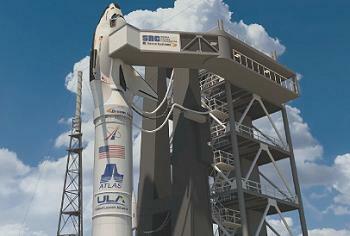 ULA’s order book is set to increase in 2014, with 15 missions manifested. The company is already moving through the midway point for its 12 mission schedule for this year. “We are in the middle of a launch campaign with an operational tempo that is unprecedented since the inception of the Evolved Expendable Launch Vehicle (EELV) program more than a decade ago,” Mr. Sponnick added. Next year will also involve the use of ULA’s Delta IV-H on a key mission for NASA’s Beyond Earth Orbit (BEO) aspirations, as the rocket set to loft the Exploration Flight Test -1 (EFT-1) Orion into space continues to be processed at ULA’s Decatur plant in Alabama. 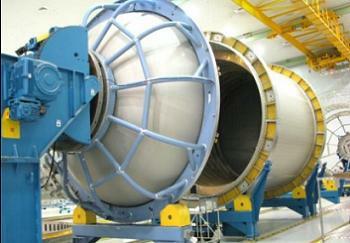 Per L2, the EFT-1 launch vehicle’s major assemblies – which were over 50 percent complete in May – will be delivered to KSC in March 2014, with stacking on the launch pad beginning in July. While the EFT-1 Orion will be uncrewed, ULA’s drive to return their Atlas vehicle to human-rated launches is also continuing via NASA’s Commercial Crew Program (CCP). Two of the three Commercial Crew Integrated Capability (CCiCAP) frontrunners – all aiming to return domestic launch capability for NASA astronauts – selected the ever-reliable Atlas V as their launch vehicle of choice. Although SpaceX and their Falcon 9/Dragon duo currently lead the race, both Boeing’s CST-100 and Sierra Nevada Corporation’s Dream Chaser opted to align with the rocket steeped in history, ranging back to the Atlas booster that launched John Glenn into space inside Friendship 7 in 1962, sending the first American into orbit around the planet. While many look to the spacecraft as the competitors in the Commercial Crew battle, launch vehicles have always pitted themselves against each other, both in the domestic and global launch services market. With the battle lines drawn over key parameters such as cost and reliability, spacecraft have to decide between a range of rockets, sometimes opting to pay more for those with a better safety record. An example of how strong this competition is was seen last year, with SpaceX’s CEO Elon Musk advertising the lower cost his Falcon 9 vehicles when compared to Arianespace’s Ariane 5, while ULA claimed their edge by classing the consideration for spacecraft being one of overall value. 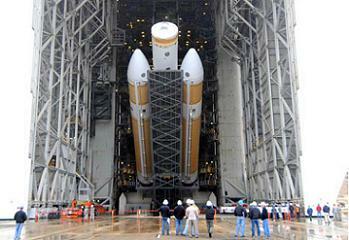 “The short and direct answer is that ULA has, and will continue, to compete on total value to include price. 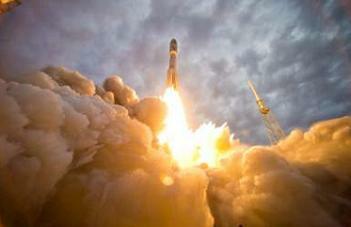 We have gone head to head with SpaceX on several occasions and have won the majority,” said Dr. George Sowers, ULA VP for Human Launch Services said to NASASpaceFlight.com last year. Ultimately, reliability will likely remain the key parameter for spacecraft, crewed or otherwise. with SpaceX facing a busy run of missions for its newly upgraded Falcon 9 v1.1 this year, while ULA’s Atlas V continues to show no sign of flinching during what is now an established career. (Images: ULA, SpaceX, Arianespace, SNC and L2).